Brian Anthony Sills passed away peacefully on April 6, 2019 with this loving family by his side. Brian is survived by his wife of 50 years, Christina, son Daryn (Leslie), daughter Kimberley (Christopher) and grandson Jack. Brother, Malcolm (Suzanne), Sister, Rosemary (Robert), Sister-in-law Joan. Brother-in-law, Jim (Rene), Sister-in-law, Georgina (Neil), several nieces and nephews and cousins in England and Australia. Brian was born May 21, 1944 in Hoddesdon, Hertford, England and moved to Calgary with his family in July 1957. He had many fond memories of growing up in England and spending summer holidays on the Isle of Wight with Grandparents and Great Aunts and Uncles. After high school in Calgary he served 5 years in the Royal Canadian Air Force in several locations across Canada. He worked at Strathcona-Tweedsmuir School as Maintenance & Facilities Manager for 30 years and at Carnmoney Golf Club for 10 years. Brian enjoyed being in the great outdoors, whether he was camping, fishing, quading, golfing, snowmobiling, motorcycling, canoeing or working on a project. Everything was an adventure with Brian and having his family and friends along for the ride with him and having fun made him very happy. He truly enjoyed life. Brian was preceded by his father, Laurence Alan Sills, mother, Peggy Charlotte Sills (nee Presswell) and Brother David Alan Sills. 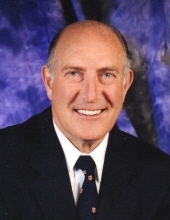 A Celebration of Brian’s Life will be held at Snodgrass Funeral Chapel, 200 Woodgate Rd., Okotoks, on Friday, May 3, 2019 at 2:00 PM If desired, memorial donations may be made to the Alberta Heart and Stroke Foundation, 119 14 St NW, Calgary, AB T2N, Canada (www.heartandstroke.ca). To send flowers or a remembrance gift to the family of Brian Anthony Sills (Turner Valley), please visit our Tribute Store. "Email Address" would like to share the life celebration of Brian Anthony Sills (Turner Valley). Click on the "link" to go to share a favorite memory or leave a condolence message for the family.